Hannah is a nerdy grad student who works in a lab and had very little of a life. When her brother and dad go to visit, her brother suggest going out and having some fun with his old best friend, Will. Will has rules. Rules he lives by. Rules he never breaks. Until Hannah. Hannah has her lab. She works hard. But hardly ever plays. And when she played in the past, it wasn't the way Will plays. Will she learn to play? During this book Hannah and Will have to battle their own worst enemies... themselves and their preconceived notions of themselves. Can they look past what they are used to and figure out rules are sometimes meant to be broke if it means finding happiness in each other? 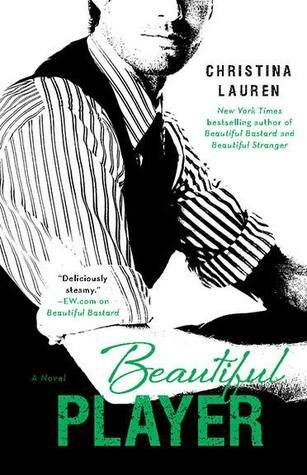 I cannot wait to continue to read about them and their friends in the next book... Beautiful Secret. Christina Lauren's Beautiful series is amazingly addictive. She has such a way with words. She has the gift of transforming words into me feeling a million butterflies in my belly over fictional characters. I love her work as I binge read the entire series. Highly recommend her work. Currently, I am hating life because it is interfering with me completing this series faster. I need to know what will happen next and with whom.